DeMarcus was off the court for nearly a year after tearing his left Achilles tendon. 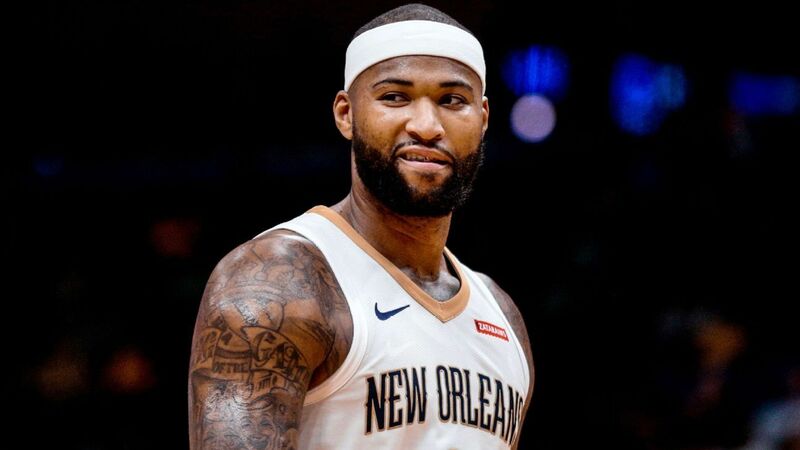 The game began with DeMarcus Cousins being nervous and being booed when he first touched the ball and it ended with him getting an ovation as he stepped off the court and Stephen Curry and Klay Thompson emptying a bottle of water on his head. Cousins had an amazing game with 14 points, six rebounds, 3 assists and three 3-pointers before fouling out. A well rounded game if you ask me. DeMarcus his return was the thing that the Warriors needed. There are a few questions marks around that statement, because the former four time All Star has been out of commission for a year. And he made 5 of 11 shots but was a plus-21 when he was on the court. But he announced his return to the game with a one handed dunk as the first basket for the Warriors. Now that is motivation. Im glad he is back and I look forward to what he is going to do on the court. Dragon Ball Super: Broly got a mega debut with 5 Million dollars plus on its opening day. 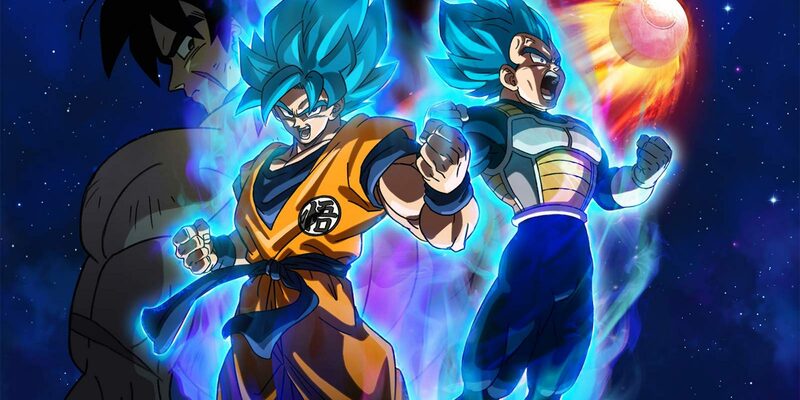 Funimation Films released Dragon Ball Super: Broly domestically and it was met with a lot of love. Dragon Ball is one of those rare anime’s that connects to several generations from kids to adults. It was released on a weekday, and it wasn’t a holiday and yet a lot of students and people came out. They most likely wanted to drop Broly before the movie Glass from M. Night Shyamalan gets released and that movie dominates the theaters. Broly is the 20th film in the anime franchise. The story for this movie is still based on the first storyline by Akira Toriyama which was released 18 years ago. Goku and Vegeta have to defend the Earth from the legendary Super Saiyan Broly. The movie of course is filled with an insane amount of action in true Dragon Ball fashion. So lets get to the ending and my explanation of it. Keep in mind, that from here on out there will be some spoilers. Because Broly is such a beast, the only people who can actually handle him are the top fighters which are Goku and Vegeta. The rest of the fighters have no option but to take a break. During the fight Vegeta and Goku are forced to merge and become Gogeta. Broly was always an anomaly in the Dragon Ball Universe because of his legendary strength. And it takes every ounce of power from the other Saiyans to beat him. But now Frieza actually wants to use Broly’s strength against Goku and Vegeta. Paragus, Broly’s father, wants to take revenge on Vegeta for what his father King Vegeta did so they agree to work with Frieza. But, it’s clear from the start that Goku and Vegeta’s power and experience are too much for Broly. Luckily for Broly, his ability to grow is on a whole other level, and even though he never turned Super Saiyan he is still able to go toe-to-toe with them. There are even moments where Broly seems to overpower them, causing Vegeta and Goku to go through their various transformations. After he’s defeated, Broly’s friends Cheelai and Lemo who were a part of Frieza’s army use the Dragon Balls to send themselves and the Legendary Saiyan back to the planet Broly grew up on. But Goku follows them using his Instant Transmission technique to offer his help and he also tells Broly that he wants to train with him, so he can get even stronger. The issue is, Frieza’s forces know exactly where Broly is but they decide not to pursue him. He wants Cheelai and Lemo to tame Broly so that he can be controlled. So we can rest assured that Broly and Frieza will link up again. Spiderman Far From Home – Who is Mysterio? The new Spider-Man: Far from Home trailer has been released. 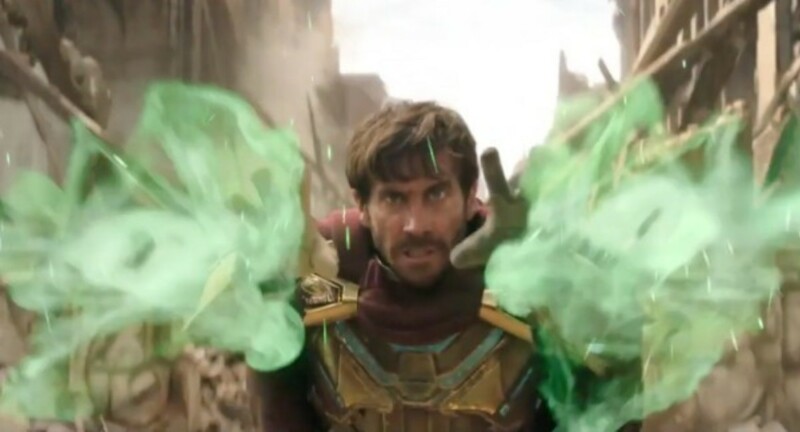 And Jake Gyllenhaal has revealed himself to be Mysterio. What is interesting about the new Spidey trailer is that Tom Holland is still alive after he turned into a cloud of dust in Avengers: Infinity War. We will most likely have to wait for Avengers: Endgame to see how everything works out with regards to the timelines. In the new Spiderman movie, Gyllenhaal plays Mysterio and we see him fly in and blast a gigantic water being and giving Spidey a shower in the process. It’s then said that Mysterio is like a combination of Iron Man and Thor. In the original comic Mysterio is a villain who gives Spiderman a run for his money. He debuted in 1964’s The Amazing Spider-Man #13, although later it was revealed that he was responsible for an alien hoax seen in issue #2 the previous year. The origin story of Mysterio is he was a stuntman and a special effects specialist who failed in his career and then decided to use illusions to commit crimes. He was also a member of the Sinister Six, which included villains like Electro, Kraven the hunter, Sandman, Doctor Octopus and Vulture. Which we were introduced to in Spiderman – Homecoming when he was played by Michael Keaton. In the comics, the closest Mysterio ever came to beating Spiderman was in the Amazing Spiderman #24, where he almost tricked Spiderman into unmasking by using a fake identity as a hypnotherapist. But his plot was thwarted by J. Jonah Jameson. Another interesting point is the fact that Mysterio was in a 2012 miniseries, where he forced Peter Parker to team up with the alternate universe Spiderman Miles Morales to stop him. Because Mysterio got so good with his illusions that he breached the barrier between worlds and controlled a robotic avatar. A side point is that Daredevil’s #7 which was released in 1999, Mysterio actually committed suicide after losing to Daredevil. Mysterio also has a wide array of weapons at his disposal. In his helmet he has a portable air supply and a sonar system that allows him use his debilitating gas which cancels out Spiderman’s Spider-sense. And in the comic he even has a special acid that can corrode Spidey’s webbing. It might also interest you that Mysterio was originally supposed to debut in Sam Raimi’s cancelled Spiderman 4. He was going to be played by Bruce Campbell who was the wrestling announcer in Spiderman and a usher in Spiderman 2 and Maitre d’ in Spiderman 3. It could of course be possible that Mysterio has been recasted to be a good guy but it could also be part of a plot twist to make it a bit more interesting. Either way, we can rest assured that Marvel will give us another solid offering, and I have my popcorn at the ready. Thanks for watching, hit that subscription and notification button and be back tomorrow for some more news. 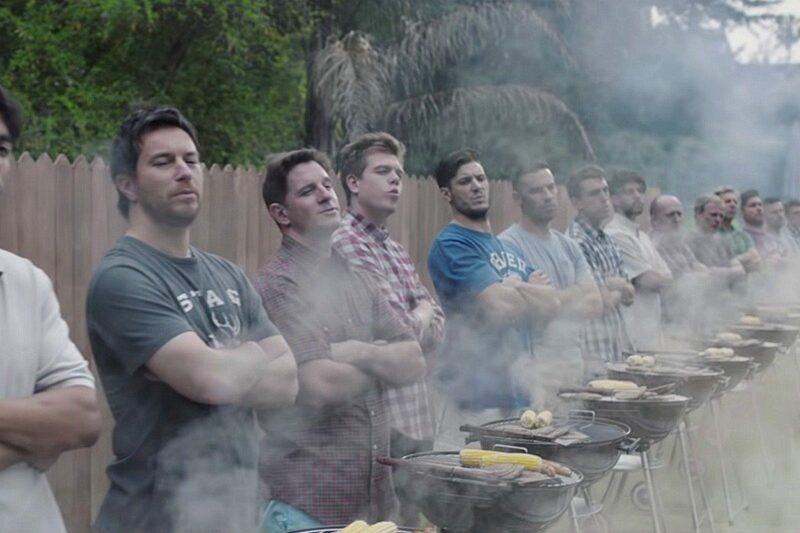 Gillette has made an ad where they attack toxic masculinity. And make references to the MeToo movement. And apparently it peeved off a few groups. The commercial challenges bullying, sexual harassment and the concept of being a “toxic” male stereotype. And of course, men in several groups say it creates a bad image of men. Gillette actually went as far as to put a statement on their website saying that its about time that brands acknowledge and take responsibility for their influence on cultures. But standing up for change brings it own dangers with it, and the backlash is saying that the ad is too political and painted all men as bullies or sexual harassers. The Youtube video already has over 2.8 million views and almost 250.000 dislikes. Gillette also said that it would donate 1 million dollars per year for the next 3 years to non-profit organizations that strive to help men be better role models for the next generation by teaching respect and accountability. If Gillette’s intention was to start up a discussion they did a marvellous job of it. And with the way society works, talking about it is the first step to change. Good on them. Nike was also in the hot seat a few months ago when they signed Kaepernick. I don’t know about you but I like it when companies try to change the world for the better. Thanks for watching, don’t forget to subscribe and hit that notification button and be back tomorrow for some more news. Congratulations are in order to Chris Pratt because he got engaged to Katherine Schwarzenegger. It seems that Pratt and Schwarzenegger have been a couple for several months now and just recently went public with their relationship. They were first seen together on Fathers day when they had a picnic in Santa Barbara. And apparently the two met through Katherines mother, Maria Shriver and things just clicked. Pratt got divorced in november from actress Anna Faris after the two had been married for 8 years. They have one son together. And it seems the two both waived their right to spousal support and they will co parent their son. Which is a really good deal in my eyes. It’s worth mentioning that Pratt is currently in the middle of a 21-day fast that focuses on prayer. Katherine Schwarzenegger is a self-help and children’s book author. Some of her books are “Rock What You’ve Got: Secrets to Loving Your Inner and Outer Beauty from Someone Who’s Been There and Back” published in (2010); “I Just Graduated … Now What? : Honest Answers from Those Who Have Been There” published in (2014); and “Maverick and Me” published in (2017). She also runs the lifestyle blog KatherineSchwarzenegger.com. I look forward to seeing their wedding pictures and wish them nothing but happiness and bliss. Thanks for watching and don’t forget to subscribe and hit that notification button. Be back tomorrow for some more news. The word beautiful. 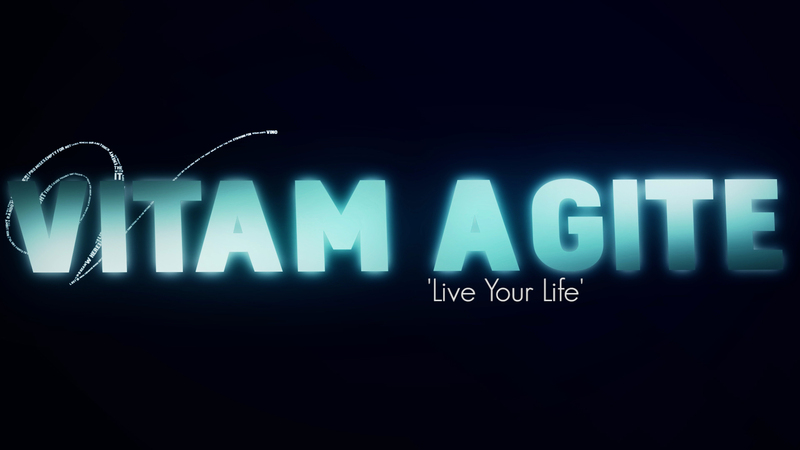 A very simple but very impactful word that often gets flung around like a cheap pick up line. But the thing is, I would like to redefine the concept of beauty into something more related to acceptance. Because beautiful is often linked to something that is closely related to perfection. And perfection is another term for as good as it can possibly be. The issue is that people WANT something to be better than what it is so that it can live up to the name perfection or beautiful. The thing that often escapes a lot of people is that everything is perfect as is. Which means that beauty is whatever you lay your eyes upon. The word beautiful is dangerous but amazing at the same time. Accepting the situation as is and learn how to appreciate the beauty each moment holds is very hard to do. 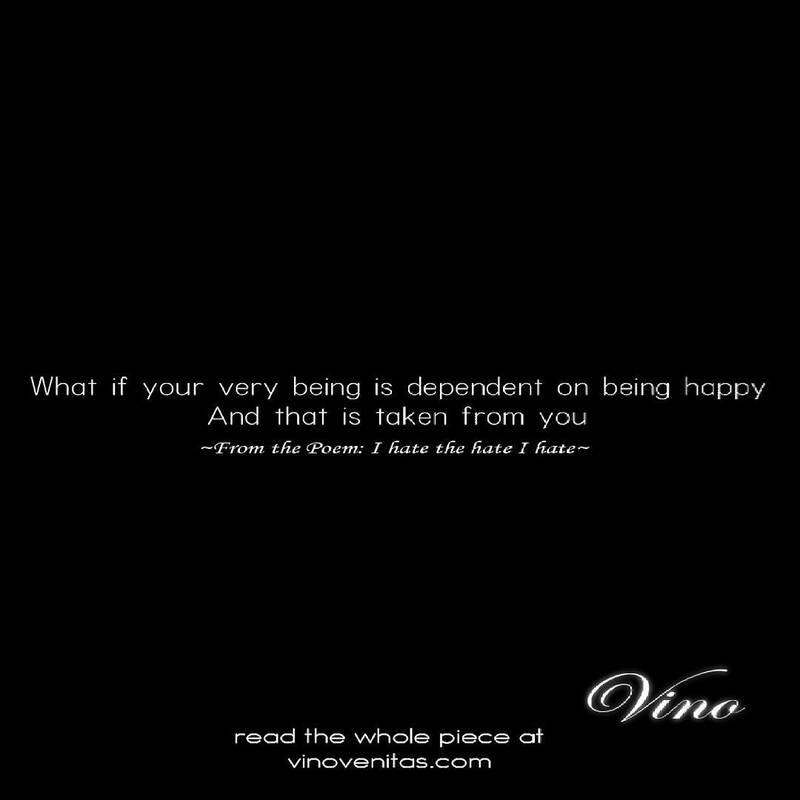 But I am trying to get to the level where I can just be at peace with everything and love everything for what it is. A flower is beautiful regardless of the state it is in. A body is perfect regardless of the size it is. Understanding that the world doesn’t need to be improved is something that will just escape most people. And that is what this poem is all about. I would never want to be someone who tells others what to do, but if I can guide them or help them realize the beauty in the world … my job is done. If you liked this piece, I am more than certain you will like the rest of my poems on my Youtube Channel as well, so don’t forget to subscribe. And I also released a new Poetry and Art book called Pulse. Thanks for coming and make sure you come back for some more great writing. Poetry is this amazing magical tool that allows your ever suffering vocabulary a chance at freedom. A chance at seeing the outside world and all the beauty it can possibly hold. Poetry is the key that will change your life if you allow it to. The most beautiful thing you can do with poetry is gain a new perspective on life. People often tend to underestimate the value of their words and the way it affects not only the people around them but the very reality they reside in. The issue with that is that most people don’t even want to change their reality. They feel that poetry is just a way to show off all the fancy words you heard somewhere. Poetry sets language free so let it take your soul away. But poetry is so much more than that. Poetry is the way to release all those frustrating things you don’t have the words to express. Emotions can run rampant but poetry has this elegant way of cooling it down. This is why I love poetry, and if your vocabulary is a cage, then poetry is without a doubt the perfect way to set it free. I am sure that this video will reach all those poets out there who feel the exact same way as I do. Because writing for us is the only way the world makes sense. And being able to finally release all those beautiful words you’ve kept to yourself is amazing. If you liked this amazing piece then I am sure you will enjoy the other videos on my Youtube channel as well. And don’t forget that I recently published a new Poetry and Art book called Pulse. Thanks again for coming and make sure you come back for some more amazing stuff. There are these amazing jobs out there that require you to know the lingo. You study up till you understand and know each word by heart. You then spend even more time to learn what words might pop up and try to understand every piece of vocabulary related to your position. And then, of course, you also have your personal life. Your personal life is most likely filled with a lot of people you have been around for a long time. It probably also has this built in the routine you keep to, to make sure you remain comfortable. Its that comfort and constantly being around the same people that create this issue with your vocabulary. Your vocabulary goes into a cage where it remains until you realize that you’re doing a great injustice to every word you’ve never spoken. Your vocabulary is in prison until you realize that you can learn. Even in my job, I find myself repeating a lot of the same words over and over because keeping things simple and straightforward is the way of society. I used to use this loophole to make sure I learned new words and was able to put them into my day to day use. But I lost my loophole when I realized that the people at my job didn’t like it. Because using words people don’t use offends them. Which is very very interesting because the only thing I was trying to do was improve myself. Things sometimes go like that. Here is my spoken word poem about this. If you liked this piece, I am sure you will love the videos on my Youtube channel as well, so don’t forget to subscribe. And remember that I have a new Poetry and Art book out called Pulse. Get your copy here. Have you ever had a concept bothering you because it wanted to be written out? That’s that feeling of a concept Wanting to be a poem. It wanting to have its moment in the sun because it feels that it deserves to become whole. I am one of those writers that hear these voices that tells him what to write. These voices are usually concepts and one-liners that crave some attention. So this is what it would look like if I went ahead and showed you a full conversation between me and my concepts. If I told my concepts ahead of time what they were about to go through, they might get scared and stop pushing for completion. Because Wanting to be a poem just might be a selfish thing they didn’t really think through. Wanting to be a poem is understandable, but are you worth it? Sometimes I talk to my concepts just to see if they are capable of actually being completed. Because some concepts are beautiful but they just don’t have enough strength to them to actually survive the process of becoming a poem. I have lost a lot of themes and one-liners that just fell through the cracks. Writing is a beautiful thing that helps me process reality in a way that suits my mind. So this is me showing you what I go through to create a poem. What I put my concepts through to make sure they are worth it and have the drive to see it through to the end. This might just be one of my new favorite pieces. Don’t forget that I have a poetry and art book out called Pulse which you can buy on Amazon. And don’t forget to subscribe to my Youtube channel for all the latest updates.